Client Testimonials - Fred Warner Assoc. "I don't know what else to add, it’s all here. What other clients have said on this page is what applies to my experience with Fred Warner - and that goes back over many years!" "I have known Fred Warner for many years as a good friend and professional adviser. He has provided my wife and I with some very good investment opportunities, that have done very well for us. I trust Fred's judgment and advice, and his diligence in providing us with the best possible investments that have produced excellent results for us as we approach retirement. And above all I very much value his friendship." "While slipping into retirement, I am transferring my clients to the care of Fred Warner. My clientele is quite eclectic as is Fred's... ranging from two of New York City's leading restaurants to the chap who creates those wonderful NY Times crossword puzzles. Fred is a most decent, honest and caring friend who has my complete trust. The recipient of many industry awards, he is that rare combination of group specialist and field leader in individual insurance protection." "Fred always simplifies the complicated, he has always gone above & beyond to make my job easy. " "Fred has helped me through the maze of health insurance since I owned my own small corporation in 2005. I have since moved to a job at a small company where again he was able to set up the business with health Insurance. Last week he contacted me to inform me that my current coverage was to change and get a lot more expensive. He seamlessly switched me to a new provider. Excellent!" "As a sole proprietor of my business I have relied on Fred for my health insurance needs and for life insurance. He has been extremely responsive and has guided me step by step every time I needed insurance. I have recommended him to many friends. He's great." "I must say, I think you are fabulous and very much appreciate your diligence and your efforts on my behalf. Thank you so much for all your recommendations. I wish I had known you years ago!" President at Orlanda Olsen, Inc.
"Fred is a reliable and responsible, independent insurance agent. He has guided me and made fine recommendations for both medical insurance as well as long term care insurance. In addition, he is very attentive and is always available as questions arise with regard to coverage. He frequently sends information about changes in the rules or as new ideas come up. I have always been completely satisfied with his work." "I meet Fred Warner through LinkedIn. I had a very time sensitive insurance problem based on being dropped by my provider, because of the Affordable Care Act. I missed all deadlines for getting insurance for the month of March. All other brokers and insurance carriers told me I was out of luck and they could not help me get coverage for March. I contacted Fred Warner and told him about my situation. Almost immediately, Mr. Warner got me the coverage I was looking for. I highly recommend Mr. Warner." Partner at The Law Office of Gregory A. Goodman, P.C. associates. His knowledge of Insurance products and best practices is second to none. I would highly recommend Fred as a Financial advisor." creative insurance planning. If you're self-employed, securing insurance that's affordable with comprehensive coverage can be challenging or impossible. Fred helps you find what will work. " solutions when the market for small groups and individual policies was practically inexistent. He was responsive, helpful, personable and, above all, wise in the guidance he provided. It is a pleasure to recommend him in this way. " thoughtful, caring and creative person for all of our insurance needs plus! " disability, health, and long term health insurance for many years. He does the groundwork necessary to evaluate different options, and has always considered our best interests first. We recommend him very highly." "I first worked with Fred when he was helping a client to obtain insurance. I was so impressed with him that when I needed insurance for myself, he was the first person that I called. He is very reliable, and I highly recommend him." Attorney at John Leland Sills, Esq. "Fred was a huge help to our start-up company in sourcing the right insurance solution and has continued to provide great support ever since. He is a pleasure to do business with; an absolute gentleman with the highest standards of integrity and customer follow-up. " "When I was looking for a broker to handle my insurance needs, I did not have to look far. Fred Warner, a seasoned veteran, handled my insurance needs with ease and subsequently provided an environment which provided me with comfort. I would not hesitate to recommend Fred Warner for your insurance needs." - Randall A. Warner, M.A. 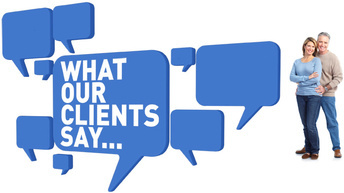 ​"Fred gives me the best rates and provides outstanding service. Would not purchase insurance from anyone else !" "Fred Warner is the most professional insurance agent I have ever worked with. He found me the most comprehensive insurance packages for life and health with excellent rates. His knowledge and expertise is at the highest level." "Fred Warner was of indispensable help in navigating the treacherous waters of health insurance. Highly professional and expert, Fred was also a pleasure to work with. I was very pleased with both the process and the result, and I enthusiastically recommend him. "Fred is a reliable, diligent and a responsible, independent insurance agent. As a sole-proprietor, Fred has helped me, been extremely responsive and has guided me in the right direction. I highly recommend Fred Warner, whether you're self-employed or the President of a major corporation. Securing insurance with comprehensive coverage can be challenging or impossible. Fred is the right person for the job." "I have never personally met Fred Warner. He has been my health insurance agent for the last 8 years. He has been so helpful to me all these years when I have needed to find or renew my insurance. He always has been available to answer any questions in a timely manner and gotten forms I've needed quickly. He has always given me the best advice and service above and beyond what I would've expected. I recently recommended him to my sister-in law, and she can't thank me enough. He has done for her everything he has done for me at a time when she was in a panic. He calmed her fears and got her exactly what she needed. You don't meet people like him anymore who take a personal interest in their clients and pride in what they do. Thank you again for everything Fred!" "Although I am still a business woman, I am also, a senior citizen and a recent widow. I find myself relying on professionals to guide me through the maze of many areas in my life about which I don't have adequate knowledge. I consider myself fortunate to have found Fred Warner. He is professional and proficient in his knowledge of every form of insurance. But, almost more important ... He is patient and he services my account with a personal touch that makes me feel 'taken care of'. Thank you Fred, for all you do ... And for the manner in which you do it. "